I admit, I’m a sucker for a man in uniform. Military uniform to be exact. I’ve spent my life surrounded by members of the military. I grew up hearing stories from both grandfathers of their experiences in the Air Force and Army, experienced life with my best friends stationed in Florida with the Navy and spent the last few years as an Air Force wife, supporting my husband through various deployments. I spent time working at the Department of Veteran Affairs, visiting with veterans about their time in the military, and was humbled by their stories of bravery. Having witnessed many loved ones end their time in the military and to turn to civilian life, I was inspired to find local digs that were veteran owned and operated right here in Colorado. With the upcoming holiday approaching, here’s the perfect way to spend the weekend honoring our nation’s finest military men and women. 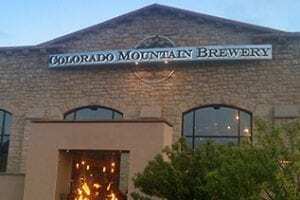 Take a drive down south to Monument, Colorado for a bite and a brew at Colorado Mountain Brewery. Overlooking the US Air Force Academy, this spot not only has views for days, but was the big idea of a fellow Air Force Cadet, Scott Koons. After serving his country, Scott spent years home brewing beer and perfecting his craft, which shaped his unique beers and original ales served on tap daily. 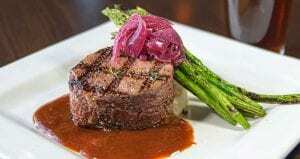 The same can be said for his outstanding menu, highlighting Colorado favorites. From venison eggrolls, bison poppers, ale battered fish and chips or the award-winning chili, every diner is sure to find an original flavor of Colorado to enjoy. Because Scott is a veteran himself, he prides the business on honoring veterans for their service with outstanding service, a generous discount and an authentic experience. Sit back, relax and enjoy a slice of military paradise. 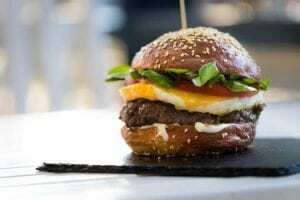 Head to Sarges’ Grill in Colorado Springs for good food and great times – that’s an order! Being former service members themselves, co-owners David Parker and Monica Walker decided to open a joint that made other veterans feel right at home. With the desire to please each guest with high quality ingredients, the menu features a wide variety of items to cure any craving. Craving freshly fried wings or a house made burger? Come here! Everything is homemade, cooked to perfection and delicious to taste! Although the food comes out fast, Sarges’ is a place to sit back and engage with other servicemen and women, as the restaurant is always busy with those in uniform. With various events hosted weekly, Sarges’ is not like other restaurants. They pride themselves on being part of, engaging with and supporting the local community…and serving more than just Sergeants! Come one, come all! 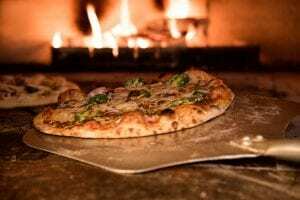 Make a pit stop at Pizzeria Rustica for a taste of Italy in Old Colorado City! Inspired by Old World trattorias seen on tour in Europe, retired Air Force Colonel Dave Brackett took to his passion for wood-fired pizza and opened this unique spot in 2008. Featuring rustic elements, Italian influences and a full scale Enoteca (wine store in Italian) attached, the space exudes a sense of class and sophistication, with an outstanding menu. Buttery smooth mozzarella made fresh by hand daily and vine-ripened pizza sauce made with hand-chopped San Marzano tomatoes grown at the base of Mt Vesuvius, are just a few pizza toppings to create a taste straight out of Italy. Each dish is made from scratch, features local organic ingredients and fired in a custom-built oven, burning at 825 degrees. Among the many awards displayed throughout the restaurant and on their website, Pizzeria Rustica holds the highest rating in all of Colorado – a 4 Start Certified Green Restaurant award for going above and beyond to improve the environmental impact of the dining experience! Now if you’re like me, you love a good cocktail. 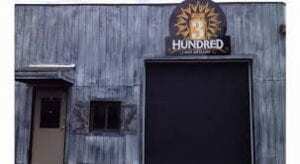 3 Hundred days of Shine serves up some of the tastiest moonshine this side of the Mississippi! The distiller, Mike Girard a retired Army veteran, got his start distilling his first batches in Afghanistan. Now, in a set up all his own, he continues to produce small patch recipes by hand, perfect for sipping’. With unique flavors like Apple Pie, Margarita Moon, Summertime Strawberry Lemonade, Firebomb, and Colorado Honey, what’s not to love? If you’re more of a whiskey fan, head over to Cockpit Craft Distillery for a taste of Colorado gold. After years serving in Afghanistan working on F-117 Nighthawks, owner Calder Curtis, decided to forego sitting behind a desk. He opened the joint in 2014. 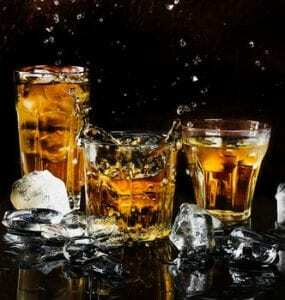 Featuring a unique combination of flavors and 100% grain/cane used in the distilling process, the liquors are smooth, and the cocktails are crisp and delicious. Stop in for a tour, for live music, or simply relax in the tasting room. Be sure to check out the custom Still that was crafted by raw materials, a homage to his military days. 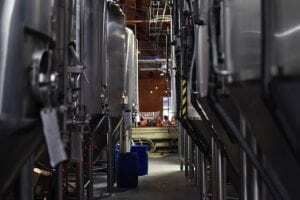 Head to Red Leg Brewing Company for a sample of the flagship beers, crafted by owner Todd Baldwin. After serving in the Army, he opened this hot spot in 2013. His brews are unique, full bodied and a local’s favorite. 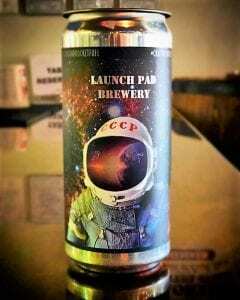 Next up, make way to Launch Pad Brewery for a creative take on brews. Owner David Levesque and his wife Erin started the business after serving in the Air Force, wanting a place for other veterans to enjoy. The staff is 100% veteran operated, consisting of active duty soldiers and veterans assisting customers. For a true military experience, make reservations at The Airplane Restaurant. Built in 1953 and opening as a restaurant in 2002, this unique spot sits in a Boeing CK-97 tanker! Despite not being military veterans, the owners have designed a one-of-a-kind experience for diners, as the space is rich in aviation history, and displays over 100 pictures and rare artifacts from Colorado. Just as rich – the creative menu designed entirely around aviation with clever names to boot! Stop in for lunch , dinner or special occasion, for a flight through history. What was once used as a tanker throughout Europe, is now a fine dining experience in the heart of Colorado Springs. Of the 5.6 million people that call Colorado home, over 34,000 of them are members of the military. 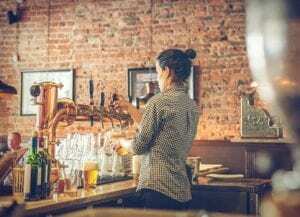 Although some continue to struggle post service, many follow their food and booze passion to serve us. Stop by, say hi, and spend your holiday honoring our local heroes for more than just their service.